We woke up early on the outskirts of Napa, California and found that a dear friend had made a wine tasting reservation for the entire family at the “Jamieson Ranch Vineyards.” Doggies were welcome to attend so we planned to be on our best behavior. As we drove up to the estate, we were struck by the gorgeous grounds and fantastic views across rolling hills planted with several varieties of grapes, all in various stages of growth. An area had been held for us on a large, breezy, covered porch on the second floor of the main house and from that viewpoint we were able to see across the grounds and for miles down the road. WHAT A SIGHT! Our wine steward brought a charcuterie and cheese platter to the seating area and Mummy was quick to give each of us a bit of cheese to sample. By now, we had generated quite a bit of attention from surrounding tables and guests were stopping by to ask questions about us and take our pictures. Gosh, you would think they had never seen four properly dressed doggies at a wine tasting before! -giggle- Several small glasses of wine were to follow so that Mummy and Daddy could sample the vineyard’s selections. “Delicious!” they both exclaimed. We sampled the local water and deemed it “delicious” as well! While we lounged on the porch and enjoyed all that the vineyard had to offer, we learned that they have a wonderful therapy program for autistic children. Three rescue ponies have been trained as THERAPY PONIES for these events and they are brought into the area to mingle with the children. Special shoes had been made for the ponies so that their hooves did not slip on the wooden floors and here is the best part… THEY ARE HOUSEBROKEN! The ponies give their owners a “cue” when they need to go potty… Mummy asked about this, that’s how we know! Mummy asked if the trainers could talk to all of us… implying that we ALL needed improving in that department. I think she was mainly referring to Addie Mae, Katie and Tulip… but somehow I got lumped into all of that which was a bit embarrassing, if you want to know the truth! We stayed at Jamieson Ranch Vineyards for most of the afternoon, taking in all that it had to offer. After a few purchases, we had to say goodbye… there was so much to see and only a few days to see it all! We were having another meetup tonight with several of our Facebook friends so we only had a little bit of time to explore. Mummy had heard about fields and fields of sunflowers that grew in the area so Daddy found out where a few of them were, and off we went in search of them. It wasn’t long before the horizon turned yellow and the large flowers came into view. WOW… now that was a sight to behold! Mummy told Daddy that maybe she could give up her dream of the little cottage overlooking the Pacific Ocean and get a place HERE, in the Napa Valley region. Surely the prices here were better. Daddy laughed and laughed. “We need to go back and try panning for gold again… the prices here might be MORE!” he said. We barely made it back to the AIRSTREAM before our friends began to arrive, WHEW! Daddy really looked forward to these gatherings because there were always other daddies for him to talk to while Mummy talked about doggies! We sold a few more cookbooks too, which was very exciting because it helped us to give back to the RESCUE GROUPS that we support with the every cookbook sale. Several friends bought more than one so they could give them as gifts, which was a great idea. They loved how I had stamped my “pawtograph” inside each book too! Daddy had more “phone business” to take care of the next day, so Mummy and I made plans to meet our friend, Ms. Christine, for lunch in town. Lots of the restaurants here were doggie friendly on the outdoor patios, so that is where we dined. My sisters stayed at the AIRSTREAM with Daddy, but I made sure to bring them back something special… homemade foie gras doggie snacks, prepared by the restaurant (for the truly pampered doggie!) We were not finished with visitation for the day either, because later that night, our friend ms. Valentina stopped by to say hello to each of us! WOW… Ms. Valentina!!! She owns “Paris Noel Barkery” and we just LOVE the homemade cookies that she makes. Speaking of cookies, she brought us a bag to enjoy and we surely DID enjoy them!!! We had NO IDEA that so many of our Facebook friends lived out here in California until we began to plan this trip and they began to ask if they could stop by for a visit. It was GREAT that we were able to finally meet everyone!!! Our days in Napa were GONE before we knew what had happened and our parents were packing up the AIRSTREAM for our next location… Nevada. But first, we had to make a quick stop in Rocklin, California. Why? What was there? They wouldn’t tell us until we got there. We whispered in the back seat about WHAT it could possibly be! 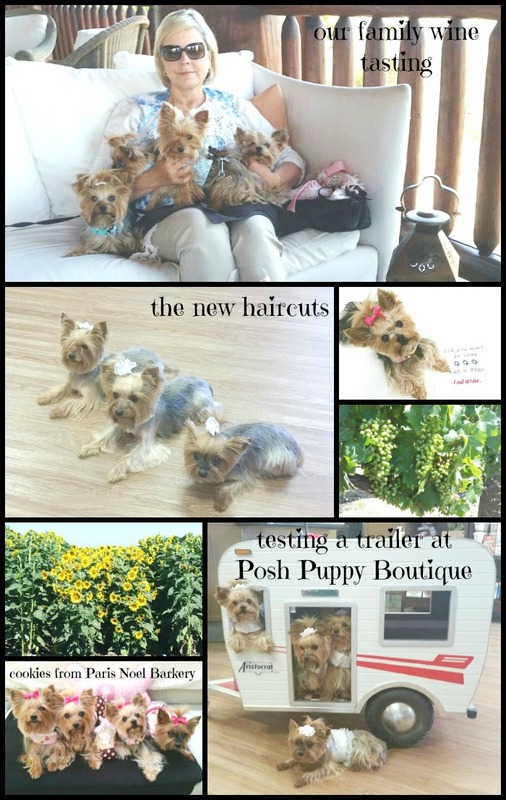 Soon we were pulling into the parking lot of a shopping-center and there before us stood the doggie store where we had been doing our “on-line shopping” from since I was born… POSH PUPPY BOUTIQUE!!! It was a REAL PLACE!!! We couldn’t believe it!!! In record time we were all being gathered up and carried into the posh boutique to shop. Wait… we weren’t shopping. Something else was happening here. RUH ROH. Mummy had made appointments at their grooming facility to have our hair cut… HOW COULD SHE? We were on VACATION!!! 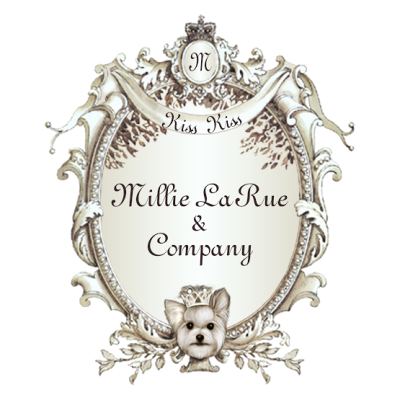 I breathed a sigh of relief when she announced that it was only Addie Mae, Katie and Tulip who had the appointments. I gave them a sympathetic nod as they were whisked away but really I was just mainly glad that I had somehow escaped. Mummy had decided that my sisters would be getting clipped really short… into something she was calling the California Camper’s Cut! Lucky for me, Mummy had cut my hair short once in the past and did not care for it, so I was being spared. As it turned out, my sisters’ haircuts were simply ADORABLE. Ms. Jennifer, who owns the shop, was so happy to welcome us… and we spent several hours there, just perusing the lovely boutique and chatting it up with our friend. All in all, it turned into a wonderful day and we were sad when it was time to leave. My sisters even loved their new hairdos, so it was a win-win for everyone. The state of Nevada wasn’t far away so we hopped into the truck, waved goodbye and headed for our next adventure. It was still a few days away, but we our ultimate goal was Utah… that is where a BUNCH of yorkies lived. “Owned by Yorkies” to be exact. We were getting ready to have a YORKIE-EXTRAVAGANZA! 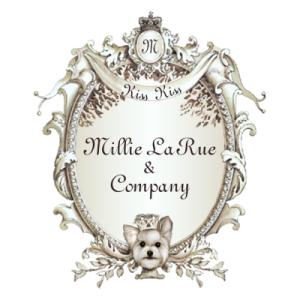 Hello sweet Millie! I love reading this story about your first Airstream trip to Napa. This happened before I had adopted Lucy and learned about Mummy, Daddy, you and your sisters! What a Wonderful Yorkie World I was about to enter. I can’t wait to hear about the Yorkies in Utah! Kiss Kiss! What an amazing trip! And shopping for doggy stuff….. perfect!